KOSMOS Pen By Stilform – Modeled after the natural design of nature the KOSMOS Pen is the perfect match for a minimalist EDC. 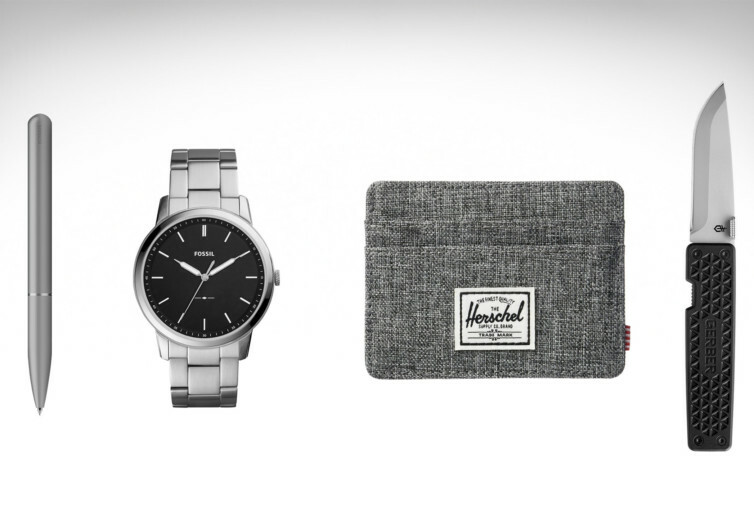 Fossil The Minimalist – Fossil even named this watch The Minimalist. Nothing extreme or special, just a well built, simple watch. Hershel Supply Co. Charlie Card Holder – Just because this wallet is minimalistic doesn’t mean you should sacrifice on security. With RFID protection built-in the Charlie Card Holder is the perfect balance between minimal design and usability. Gerber Pocket Square Knife – A glass-filled nylon handle and ambidextrous thumb lift makes this knife an all-round minimalist EDC knife.